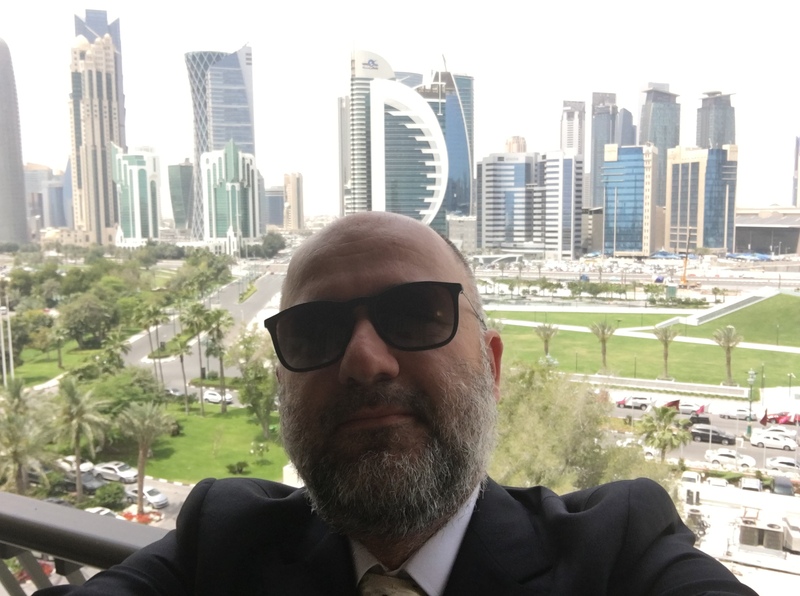 As the Vice President of EBAN, I was in Doha 12–15 April to attend the INSME (International SME Network) Annual Congress to represent EBAN at the general assembly, where Sergio Arzeni was elected as the new INSME Chair. Arzeni was the former director of the OECD’s Centre for Entrepreneurship, Small and Medium-sized Enterprises (SMEs). 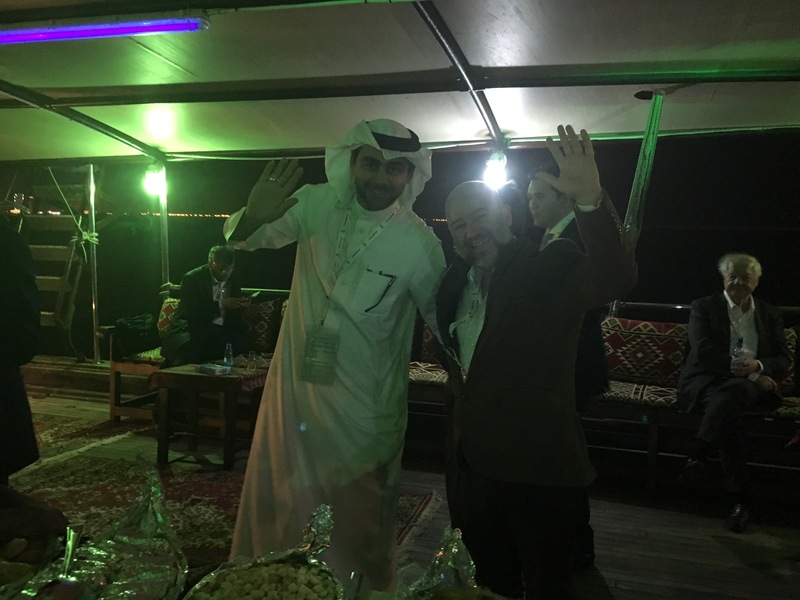 I was invited by the CEO of the Qatar Development Bank (QDB) to be one of 4 Congress delegates to visit the Prime Minister of Qatar, which offered an excellent opportunity to understand first-hand the very positive and supportive mindset of the high-level policymakers of Qatar. Because the Paris-based International Chamber of Commerce (ICC) and EBAN have an agreement to co-operate in fostering angel investments globally, and because they include chambers of commerce as platforms for introducing innovative financial tools for SMEs and entrepreneurs, my agenda also included an exclusive meeting with members of the board of the Qatar Chamber and Commerce and the ICC-Qatar executive team. 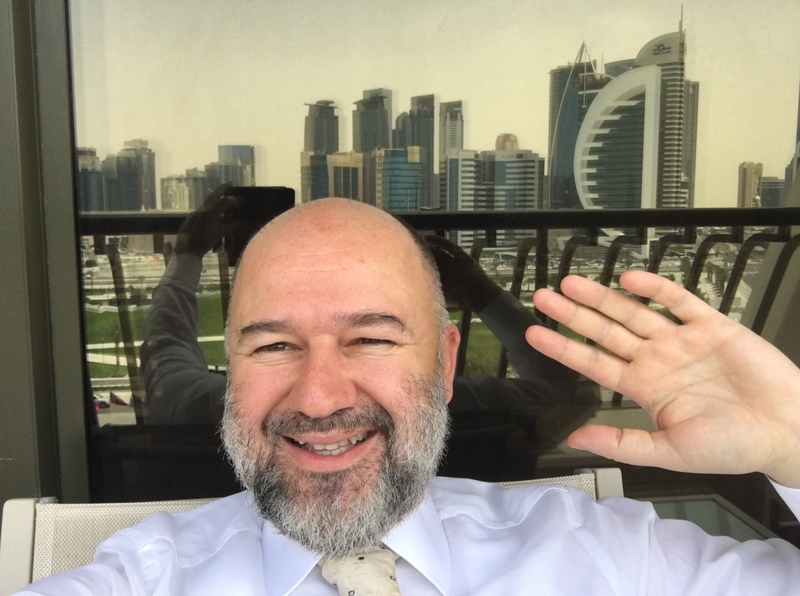 On this trip to Qatar, I learned a lot about its early-stage investment market, not just by talking with people, but also by visiting important institutions for entrepreneurs such as the Qatar Incubation Center, the Qatar Chamber of Commerce, the Qatar Business Park, and the Qatar Foundation. Modernity and Islam have come together. Taxi drivers are from India. Highest per-capita income level in the world: Over 100,000 USD per person per year. 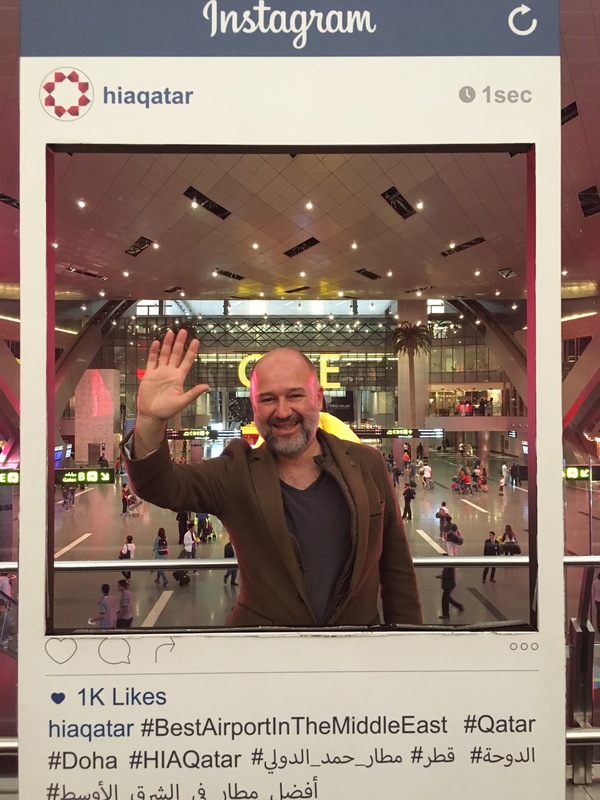 Doha has one of the best airports in the world. The weather is very nice. Appointment times may change on short notice. Photographers are essential members of any business team. 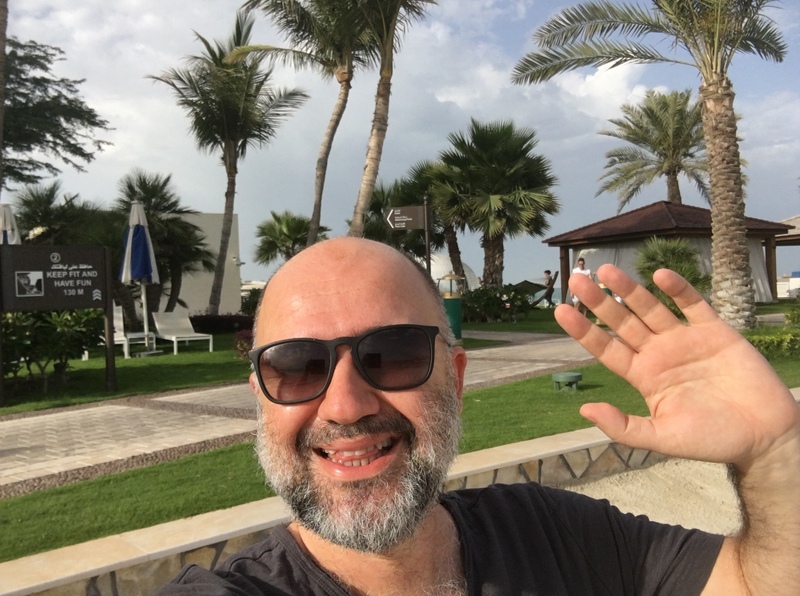 If you want to learn more about this lovely country and about my visit, please continue reading. As of 2014, Qatar has the highest GDP per capita in the world, according to the World Atlas Factbook and approximately 14% of households are dollar millionaires. It relies heavily on foreign labour to grow its economy, to the extent that migrant workers compose 86% of the population and 94% of the workforce. 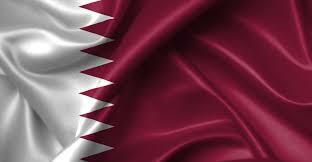 Qatar has been criticized by the International Trade Union Confederation. The economic growth of Qatar has been almost exclusively based on its petroleum and natural gas industries, which began in 1940. Qatar is the leading exporter of liquefied natural gas. In 2012, it was estimated that Qatar would invest over $120 billion in the energy sector in the next ten years. The country is a member state of Organization of Petroleum Exporting Countries (OPEC), having joined the organisation in 1961. Established in 2005, Qatar Investment Authority is the country’s sovereign wealth fund, specialising in foreign investment. Due to billions of dollars in surpluses from the oil and gas industry, the Qatari government has directed investments into United States, Europe, and Asia Pacific. As of 2013, the holdings were valued at $100 billion in assets. 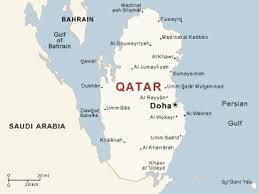 Qatar Holding is the international investment arm of QIA. 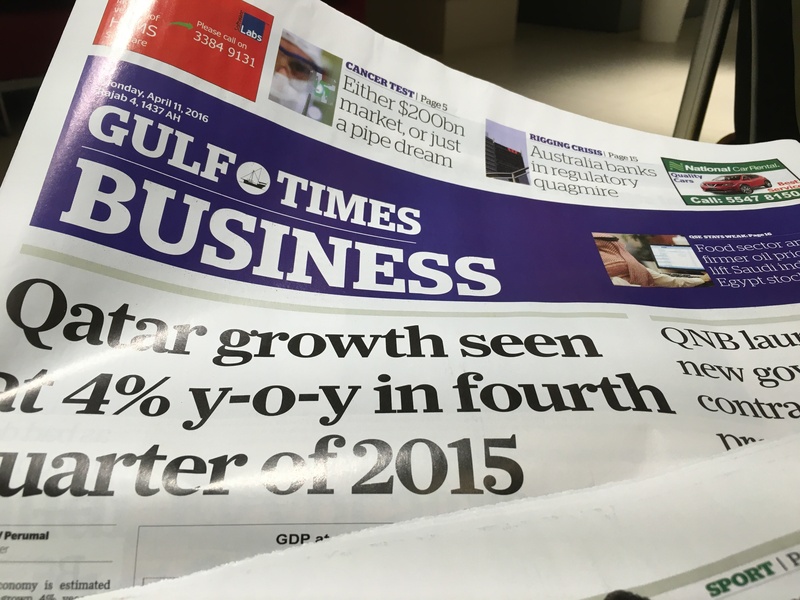 Since 2009, Qatar Holding has received $30–40bn a year from the state. As of 2014, it has investments around the world in Valentino, Siemens, Printemps, Harrods, The Shard, Barclays Bank, Heathrow Airport, Paris Saint-Germain F.C., Volkswagen Group, Royal Dutch Shell, Bank of America, Tiffany, Agricultural Bank of China, Sainsbury’s, BlackBerry, and Santander Brasil. Doha is the economic centre of Qatar. The city is the headquarters of numerous domestic and international organizations, including the country’s largest oil and gas companies, Qatar Petroleum, Qatargas and RasGas. 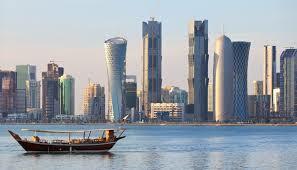 Doha’s economy is built primarily on the revenue the country has made from its oil and natural gas industries. Beginning in the late 20th century, the government launched numerous initiatives to diversify the country’s economy in order to decrease its dependence on oil and gas resources. Doha International Airport was constructed in a bid to solidify the city’s diversification into the tourism industry.This was replaced by Hamad International Airport in 2014. The new airport is almost twice the size of the former and features two of the longest runways in the world. As a result of Doha’s rapid population boom and increased housing demands, real estate prices have raised significantly. Real estate prices experienced a further spike after Qatar won the rights to host the 2022 FIFA World Cup. 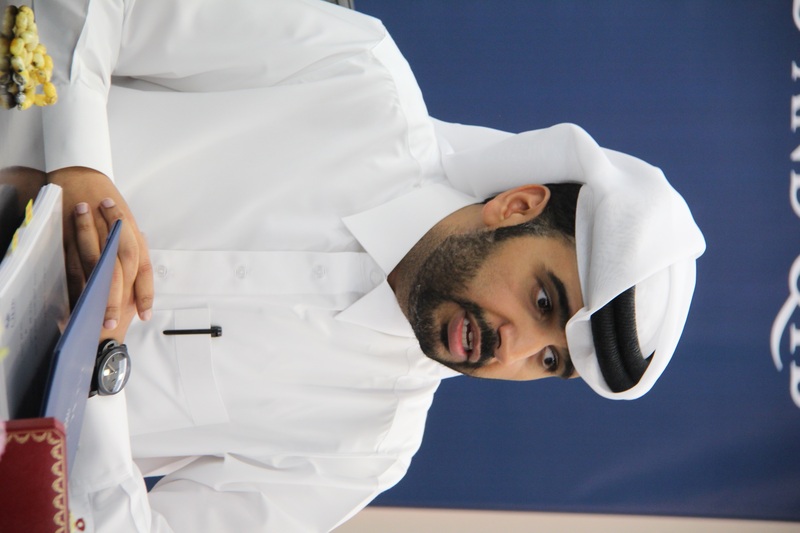 Al Asmakh, a Qatari real estate firm, released a report in 2014 which revealed substantial increases in real estate prices following a peak in 2008. Prices increased 5 to 10% in the first quarter of 2014 from the end of 2013. 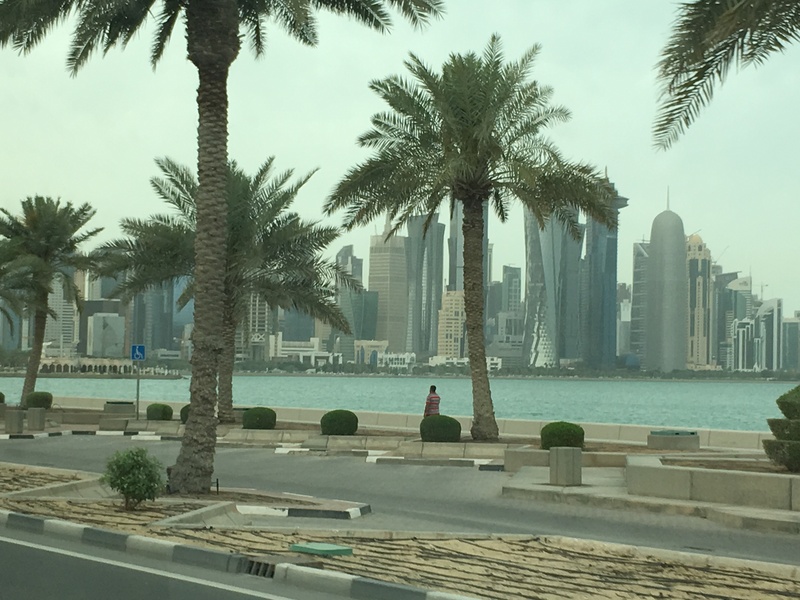 A 2015 study conducted by Numbeo, a crowd-sourced database, named Doha as the 10th most expensive city to live in globally.This rate of growth has led to the development of planned communities in and around the city. Thirty-nine new hotels were under construction in 2011. Doha was included in Fortune’s 15 best new cities for business in 2011. 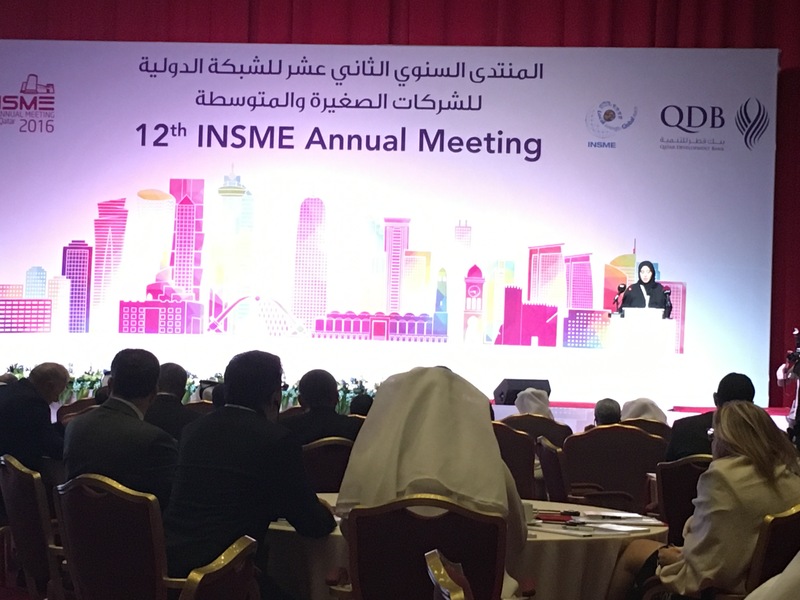 INSME was first launched as an informal multistakeholder community gathering Governmental bodies, International Organisations and NGOs, Intermediaries and their networks acting in the field of innovation, technology transfer and SME related issues. In mid-February 2004 the network evolved into an independent legal entity initially founded by organisations from Italy, Romania, Spain and Switzerland. Membership in the Association is reserved for the above mentioned categories. Individual SMEs cannot apply for membership in the INSME Association, but they remain indirect beneficiaries of its activities. The Association provides services and facilities to its Members, some of which are also made available through this portal. Gathering and dissemination of information are achieved through collaboration and exchange among Members, which may occur through e-mail contacts, discussion in the dedicated rooms of the Discussion Group Area of the portal, periodical meetings and conference calls. INSME is an initiative promoted by the Italian Government within the OECD Bologna Process on SMEs. The INSME Association’s official working language is English. On the basis of bilateral MoU, INSME exchanges membership for free with other networks so as to increase collaboration cross border for mutual benefits and provide its Members with better opportunities worldwide. 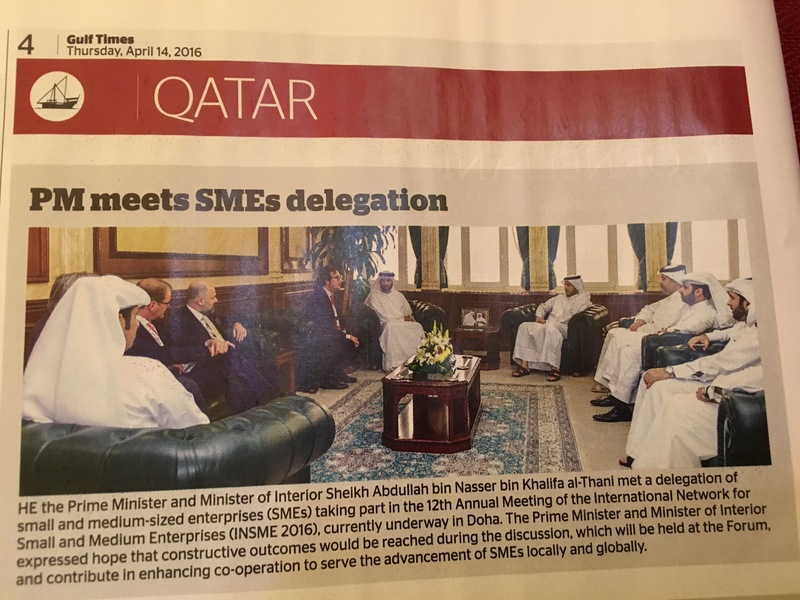 INSME also encourages long term knowledge partnerships with other international initiatives and associations in line with its own scopes, so as to avoid overlapping of activities and maximise the flow of information and benefits to INSME Members, with the final goal to better reach SMEs and meet their needs. 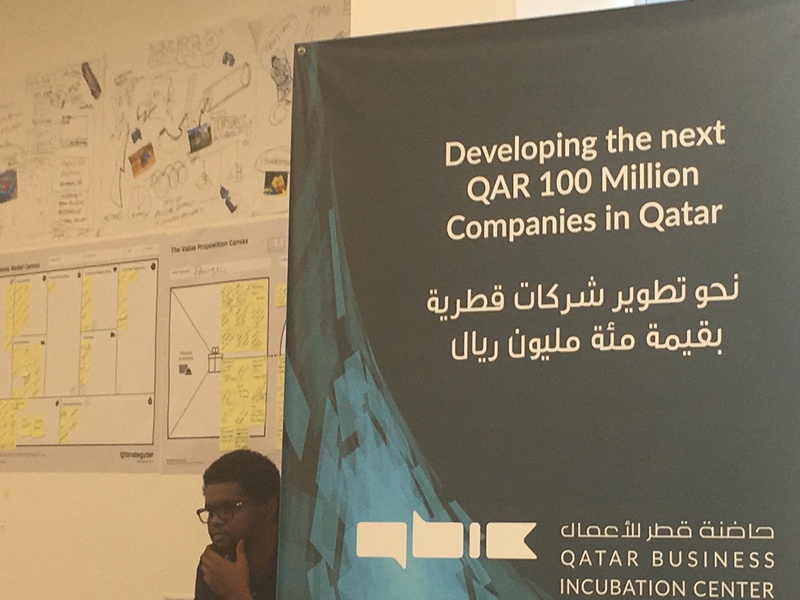 QBIC empowers entrepreneurs to start and grow companies by incubating, developing, investing and connecting. We are a team of professionals with big aspirations and our mission is developing the next QAR 100 million companies in Qatar. They are innovative, practical and operational, with a team devoted to supporting local entrepreneurs through our range of globally-benchmarked services designed in partnership with leading local and international experts.Their flagship LeanStartup and LeanScaleup Programs emphasize rapid, lean implementation and provide the vital knowledge your business needs to survive and succeed at different stages of their lifecycle. 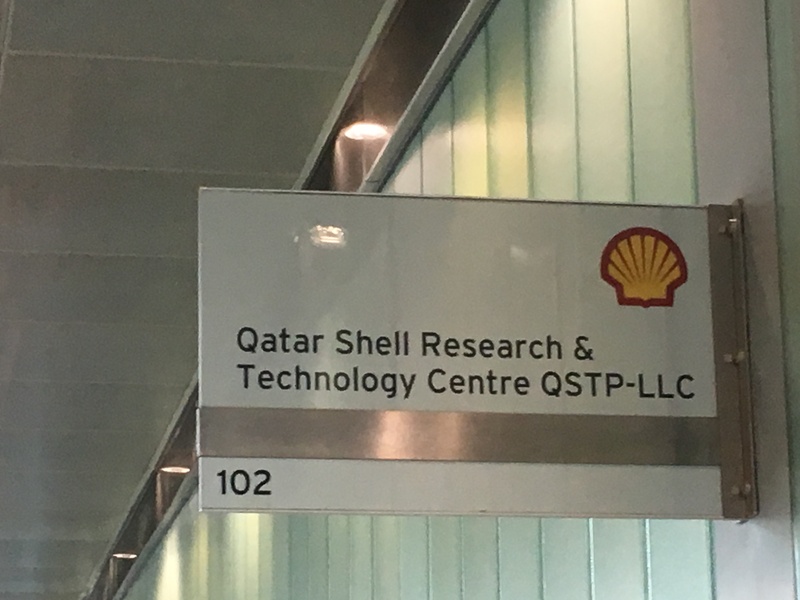 QSTP aims to provide a sturdy and productive platform for technology-focused research, commercialization and enterprise growth in Qatar. 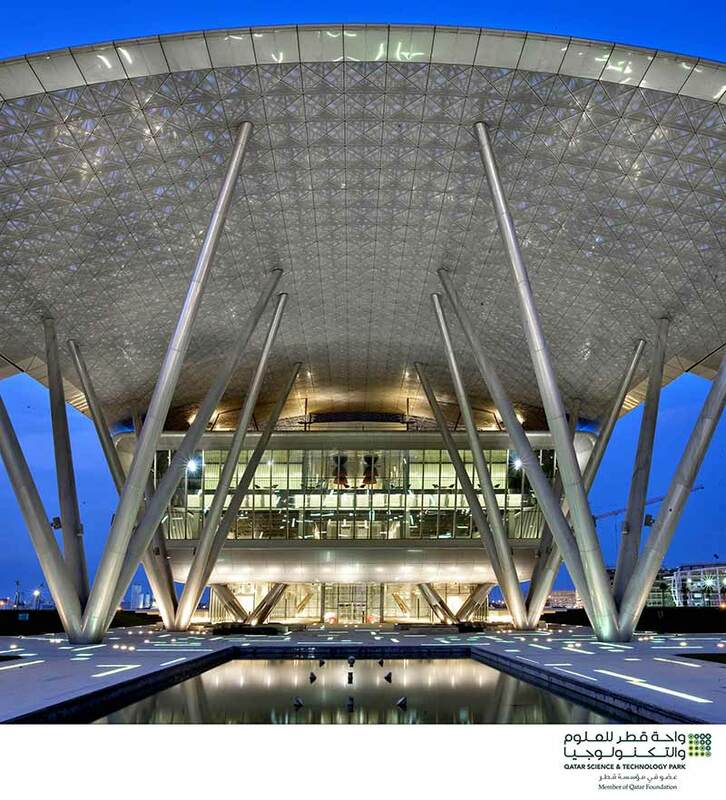 Aligned seamlessly with Qatar’s national priorities and continuing on the path to becoming a regional hub for technology innovation, QSTP accelerates technology creation by constantly growing and strengthening the support it offers its tenants. The Minister of Finance, Economy and Trade (currently Minister of Business and Trade) shall determine the proportional representation of these sectors following consultations with the concerned Ministers. The Board>s term of office is four instead of five years. The QCCI internal regulations shall specify how elections should be held. The International Chamber of Commerce (ICC) is the world business organization, a representative body that speaks on behalf of enterprises from all sectors in every part of the world. Central to its mission is the promotion of trade and investment, with ICC establishing the international framework of rules and codes governing cross-border trade. Its conviction that trade is a powerful force for peace and prosperity dates from the organization’s origins early in the 20th century. The small group of far-sighted business leaders who founded ICC called themselves “the merchants of peace”. ICC has three main activities: rule setting, arbitration and policy. ICC also provides essential services, foremost among them the ICC International Court of Arbitration, the world’s leading arbitral institution. The World Chambers Federation which provides the ICC’s worldwide network of chambers of commerce, fostering interaction and exchange of chamber best practice. ICC enjoys a close working relationship with the United Nations and other intergovernmental organizations, including the World Trade Organization, the G20 and the G8. ICC Qatar National Committee represents the International Chamber of Commerce on a national level. Sheikh Khalifa Bin Jassim Bin Mohammed Al-Thani, Chairman of Qatar Chamber of Commerce & Industry is also Chairman of the board of Directors of ICC Qatar. He is also council member of the World Chambers Federation (WCF) and member of the ICC G20 Advisory Group. The ICC G20 Advisory Group is an initiative of the International Chamber of Commerce (ICC). It is a platform for global business to provide input to the work of the G20 on an ongoing basis. The Group mobilizes ICC’s worldwide policy-making expertise and solicits priorities and recommendations from companies and business organizations of all sizes and in all regions of the world. The Group is comprised of approximately 20 CEOs working to ensure that the voice of business is heard by governments, the public and the media. ICC Qatar serves the local business community by providing opportunities for all business sectors to be part of the world economic practice and acts as the voice of International businesses in the local business community. As an apex business chamber that advances the interests of Qatar business community in trade, investment, and industrial and international relations, ICC Qatar currently represents a growing number of Qatar-based businesses as well as the local and foreign business chambers and key national associations of the business sector. Qatar Development Bank (QDB) is a financial entity fully owned by the government, set up by an Emiri Decree to invest in and develop local industries by supporting small and medium enterprises in Qatar. QDB aligned its strategy to correspond with the Qatar National Vision for the year 2030, to promote and facilitate development and growth of small and medium enterprises in core economic realms, resulting with long-term socioeconomic benefits to the people of Qatar. In addition to providing financial aid, the bank also offers advisory support and guidance to small and medium enterprises regarding start up, growth and expansion of their activities, aiming to establish a sustainable economic system. QDB recently launched an additional program named TASDEER, offering export financing services, business development services and support for promotion of private sector exporters based in Qatar. 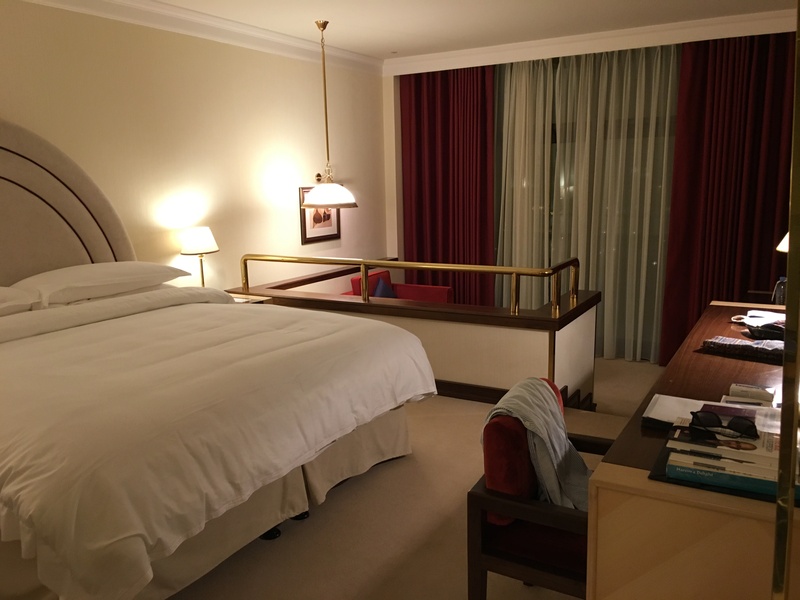 Situated on the shores of West Bay and the sparkling blue waters of the Arabian Gulf, the landmark 5-star Sheraton Grand Doha has been restored to its former glory, preserving its authenticity, while cutting-edge amenities and facilities cater to today’s international traveller. 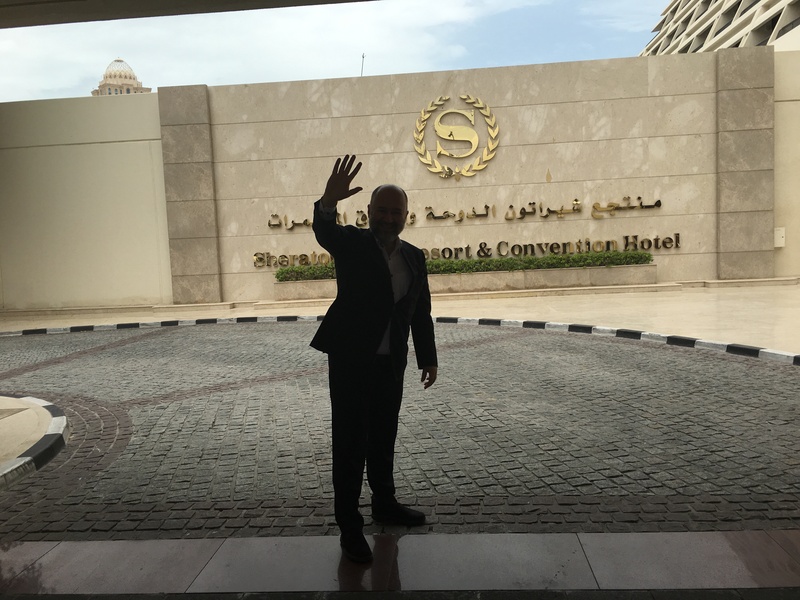 The hotel is home to ten restaurants, bars and lounges, including the Latino Steakhouse, one of the best South American restaurants in the city; Al Shaheen, an authentic Lebanese restaurant; the truly Italian La Veranda; and the Irish Harp, Doha’s popular Irish pub. Treatment: Breakfast included, free Wi-Fi in the common areas and in the rooms. 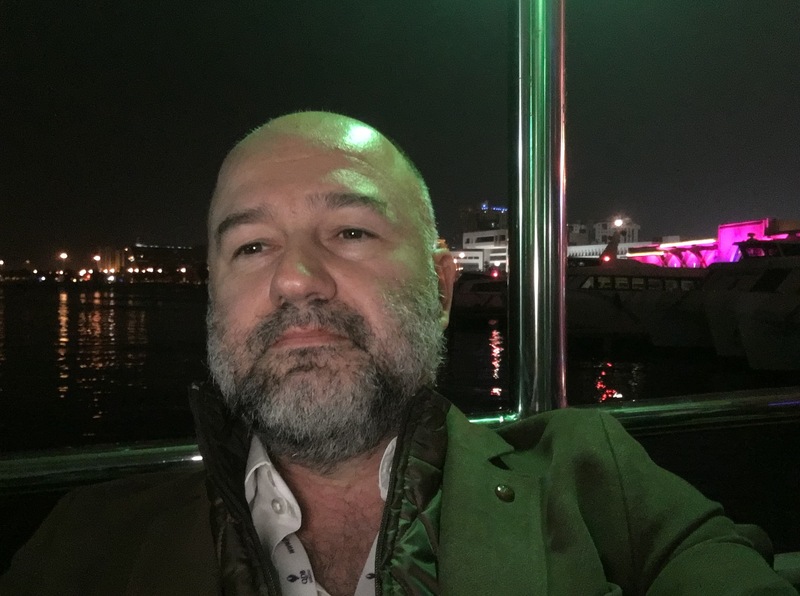 Turkish Airlines departed Istanbul Ataturk Airport at exactly 9.45pm and I arrived at the Doha Airport at 1am on the 12th of April. After a short passport control process, the limo I had hired from the Sheraton Hotel was ready and waiting in front of the airport. After a nice half-hour drive in the night, I was in my room by around 2am, with a view of the city. 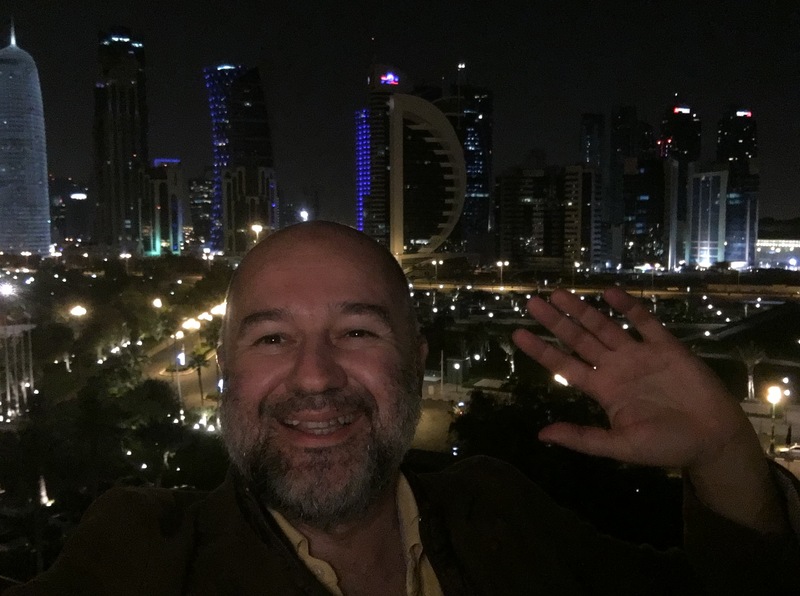 I think it was a good decision to reserve rooms with a city view instead of a sea view in Doha, because the city side of the Sheraton has wonderful buildings which feature different colours of light that change periodically until 4am. 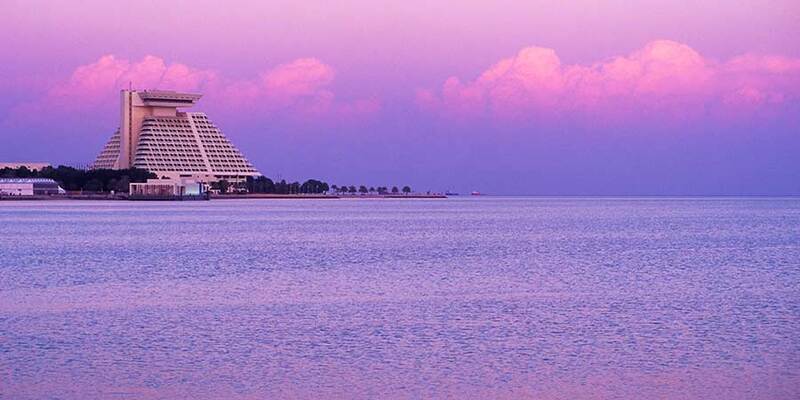 Sheraton is the oldest and the biggest hotel in Doha and has an excellent beach. The reception staff is wonderful. As for location, it is close to the city centre. Spectacular views of Doha are seen on postcards all around Sheraton Hotel. It is interesting that just 10 years ago, there was nothing in the area around the Sheraton, but now you can see all sorts of buildings that have been constructed in the last ten years. Wow! After a sound sleep, I went down to the meeting room area where the INSME round tables on various subjects were being held. In the meetings, I met with friends from Bahrain, Lebanon, Saudi Arabia, Jordan, and so on. 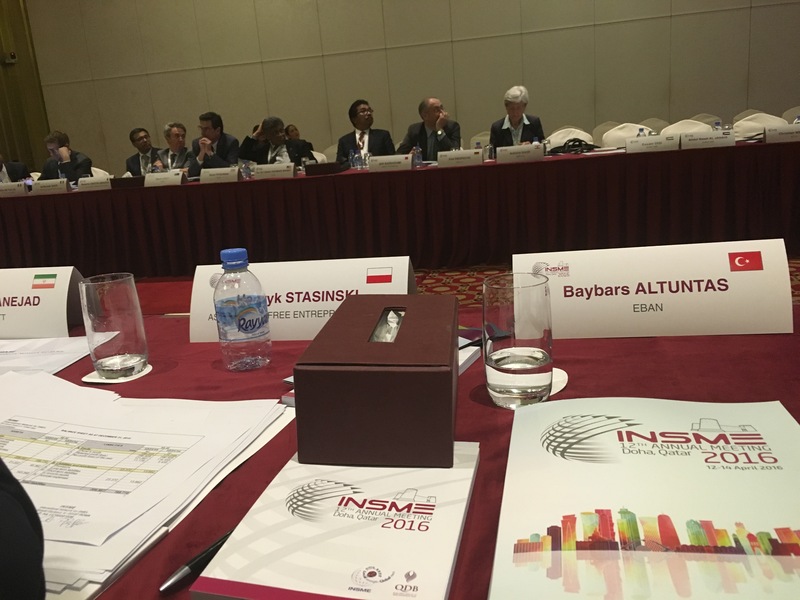 I participated in the 12th INSME General Assembly from 2pm to 5pm. 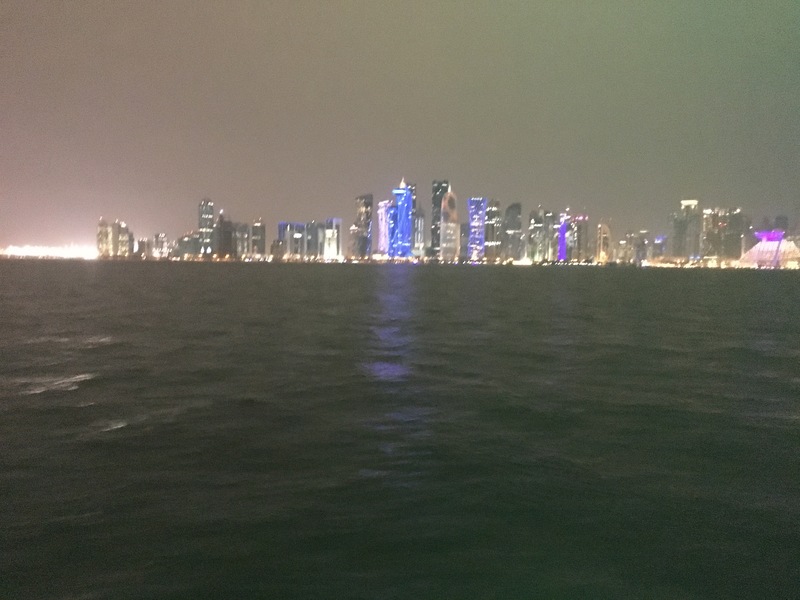 That evening, I was on a boat on the river of Qatar, where I chatted with the community and enjoyed Doha by night. I was at the main ballroom at 10.30am for the opening ceremony and keynote speeches. 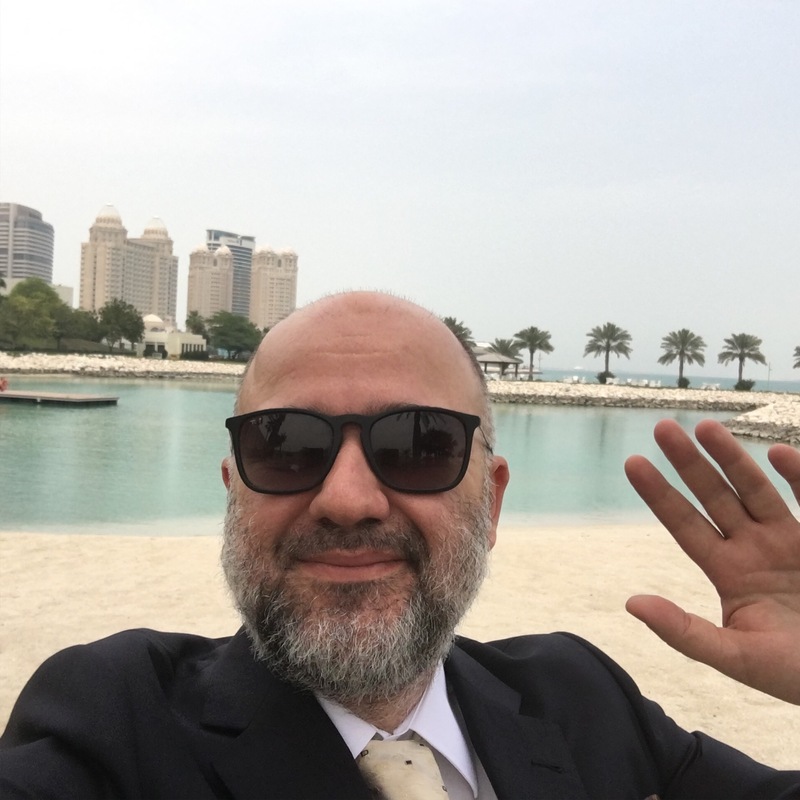 After the speeches, around 1pm, I was in the car of a dear friend, Abdulaziz, CEO of the Qatar Development Bank, heading for a meeting with the Prime Minister of Qatar. The CEO of the Dubai SME Department was accompanying us. 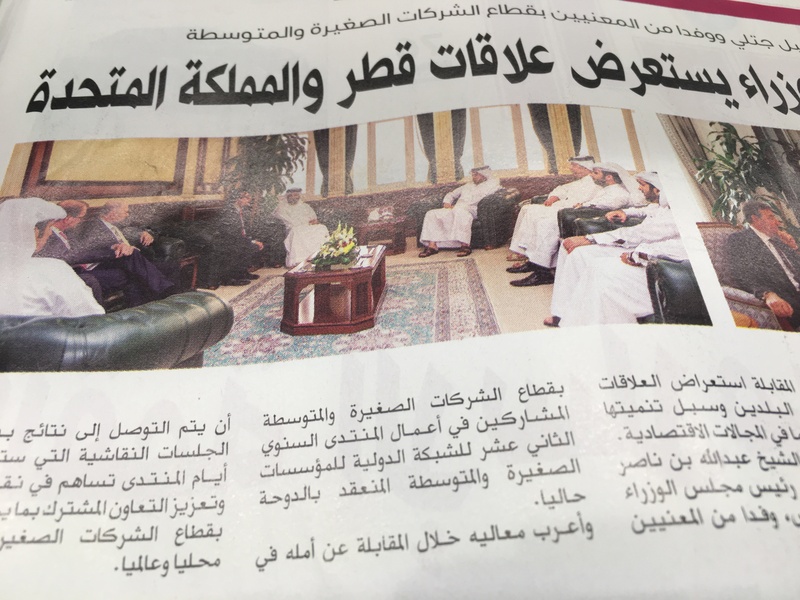 Also part of the group who would meet with the Prime Minister were the President of INSME, the Former President of INSME, and the Deputy Secretary-General of the Organisation for Economic Co-operation and Development (OECD). After meeting the Prime Minister, we returned to the hotel around 2pm. 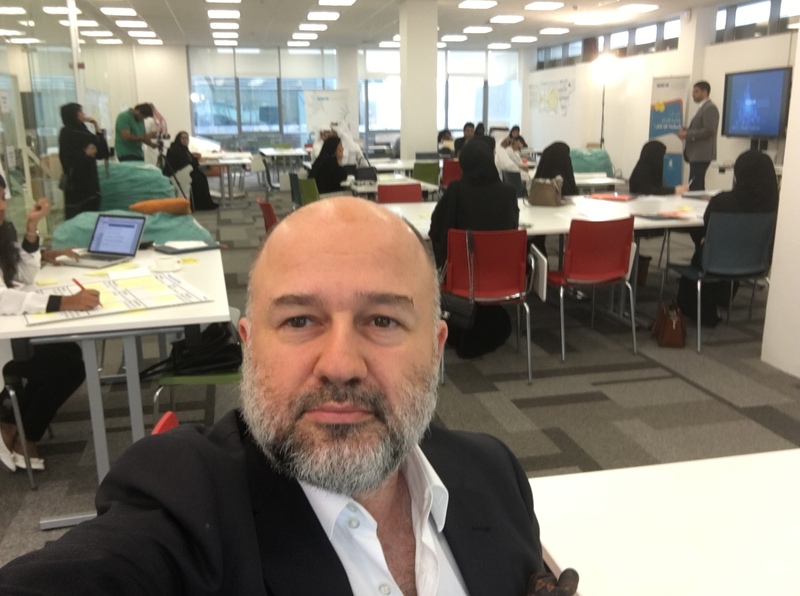 About 4pm, I was taken by limo to visit the Qatar Business Incubation Center, where I observed the first lesson of an incubation programme. 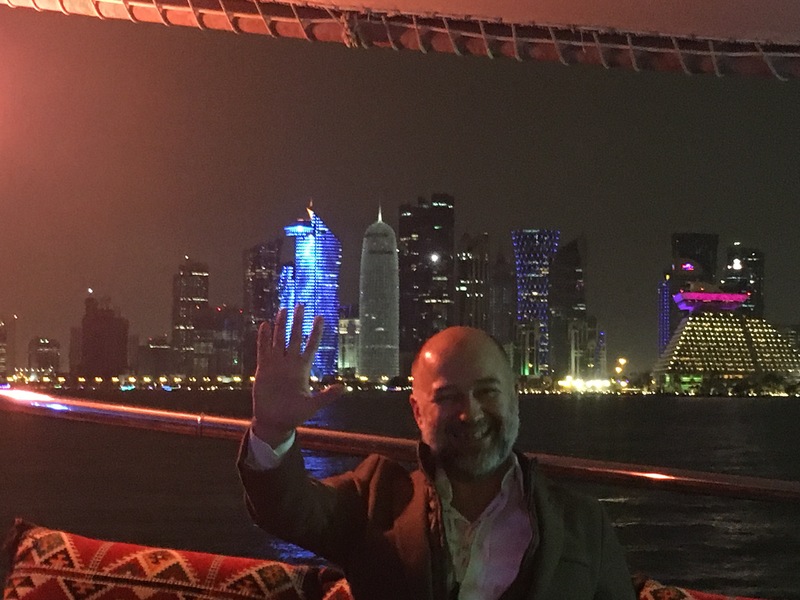 This was the most enjoyable part of all my Doha visits and I could see how excited these 50 men and women entrepreneurs were to set up their own businesses. After a welcome speech by the CEO of the Qatar Development Bank, the Center’s executive team gave us a guided tour of the facilities. 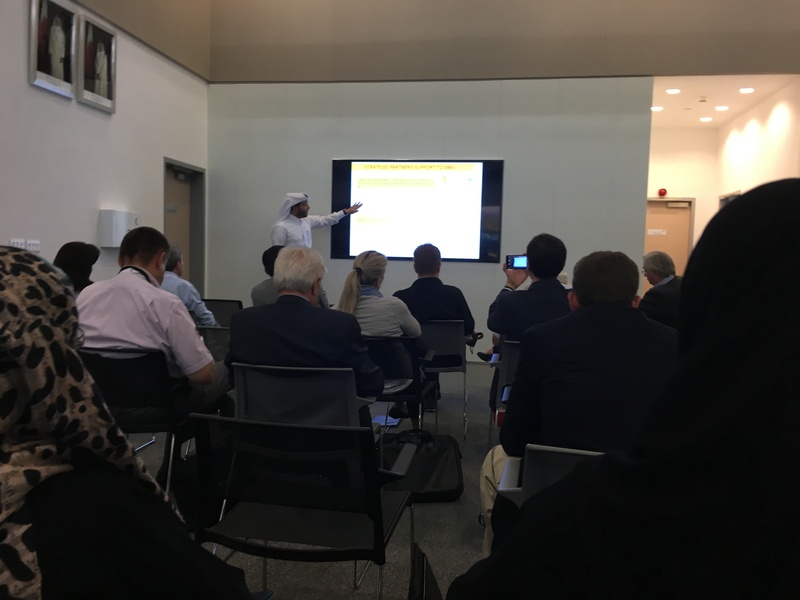 One of the particularly interesting elements of the incubation center was the Qatar One Stop Shop, where you can set up your company in just hours. After chatting with some of the entrepreneurs about their business plans and business models, we took a souvenir photo of all of us together. Then I was back at the hotel again to attend the gala dinner. 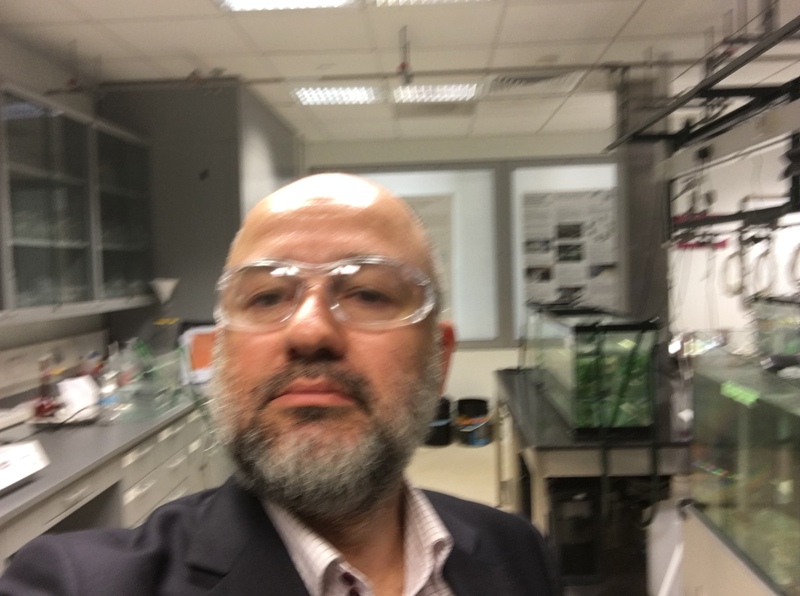 We were all collected at 8am from the hotel to visit the Qatar Science & Technology Park. This innovation tour was excellent. 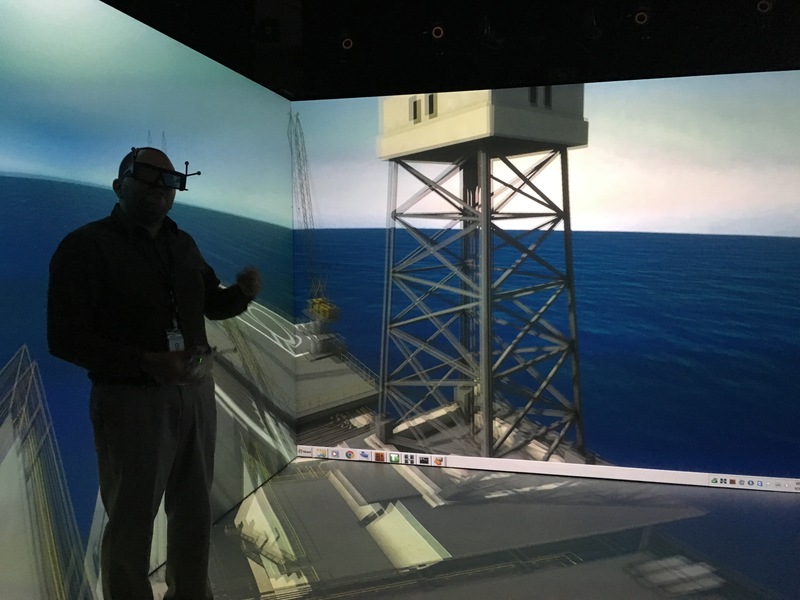 You are given a 3-hour tour of the park, where you can visit the Shell innovation center, the Exxon Mobile training center and much more. 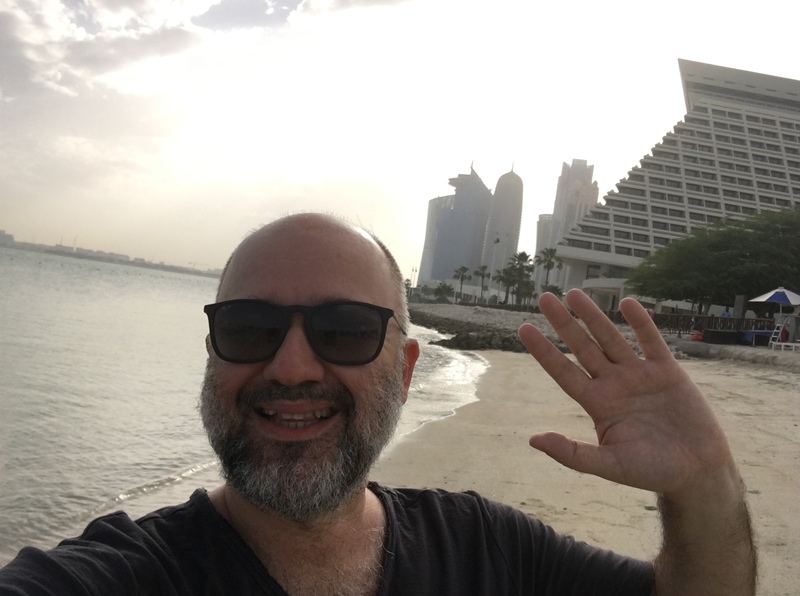 If you visit Doha to discover the entrepreneurial environment, this tour should be at the top of your to-do list in Doha. The group went on their visits, but I had to excuse myself to attend a 2pm meeting with the ICC Qatar team. 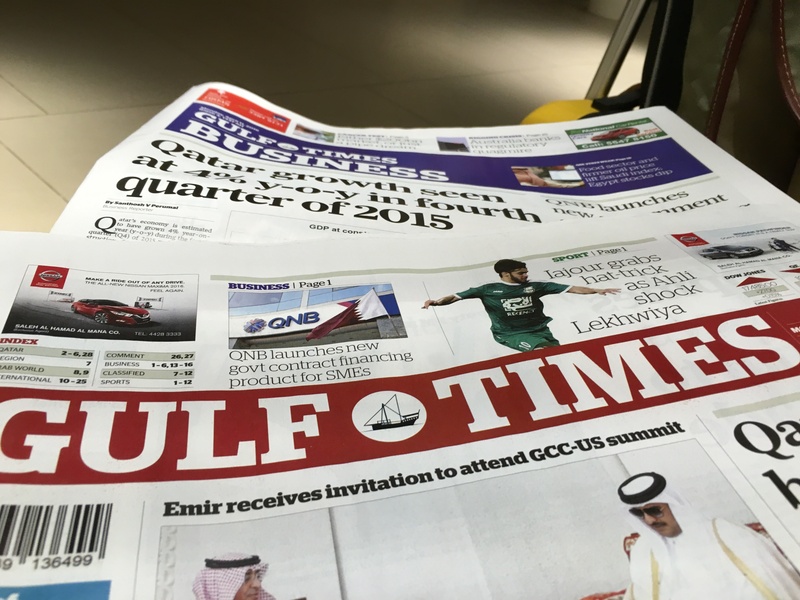 I was at the Qatar Chamber of Commerce at exactly 2pm and it was a very beneficial meeting. The hospitality was great! I was back at the hotel around 4pm, and I decided this was a good time to enjoy a swim and relax on the Sheraton’s beach. 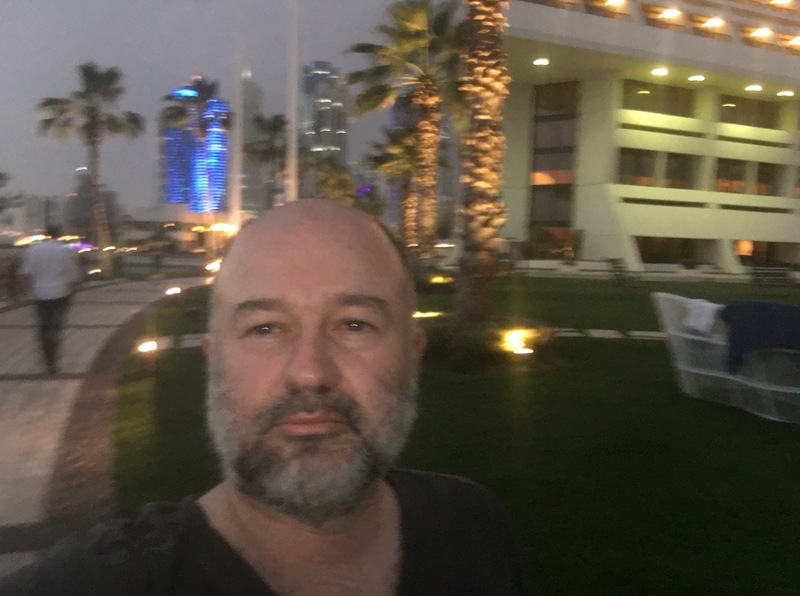 After a few hours of rest, I met with a nice young couple at 8pm for dinner in the Doha city centre. 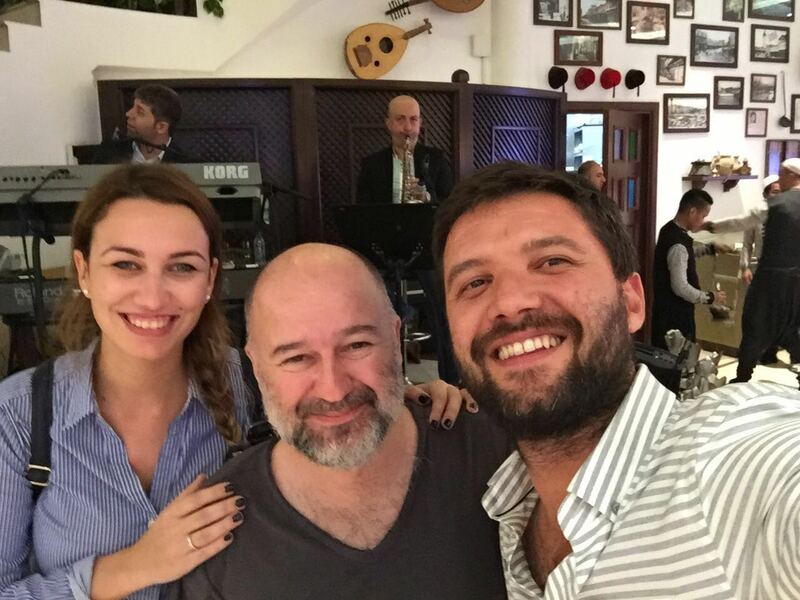 Milica from Serbia and Tuncay from Turkey had married in Doha. After a delicious dinner at a Syrian restaurant, I had to head to the airport. 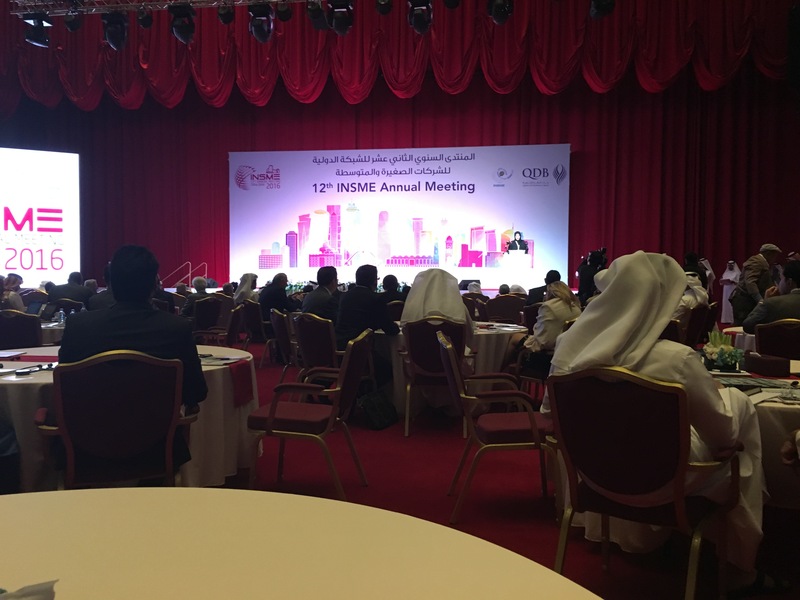 Many thanks go to Christin Pfeiffer, Secretary General of INSME, for a hugely successful INSME Congress, and I have to say that Doha was the perfect choice for such an event. On behalf of myself and EBAN, I want to congratulate Mr Sergio Arzeni, the new INSME President, and extend my best wishes to him and his board. See you in Mexico City next year!